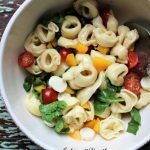 Italian Tortellini Salad mixed with an Italian dressing and loaded with fresh veggies for a salad recipe you will love! Ok a little fun fact about my family: they aren’t big salad eaters. Now, they have improved greatly over the years, especially my meatatarian husband. We love fresh spinach at our house and green leaf lettuce usually gets a smile or two. Italian Tortellini Salad, they were a little leery of. Except Ryan. I can always count on Ryan. Ryan (age 14) is always up to try anything. He will eat anything I put in front of him (save eggs and french toast ) and usually likes it. 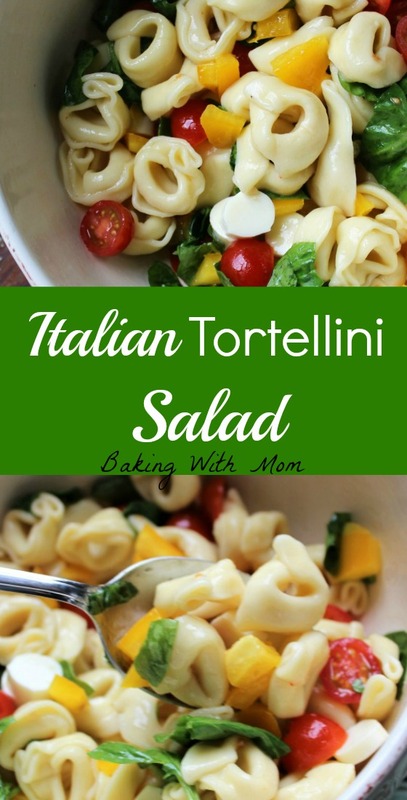 When I made the Italian Tortellini Salad, I knew it would be a hard sell. It has spinach which is a plus, cheese tortellini, which is appreciated by many but the tomatoes and peppers? That was the deal breaker. The tomatoes. When I presented the salad to Ryan, he said, “Mom, that looks phenomenal”. It was. It was phenomenal. 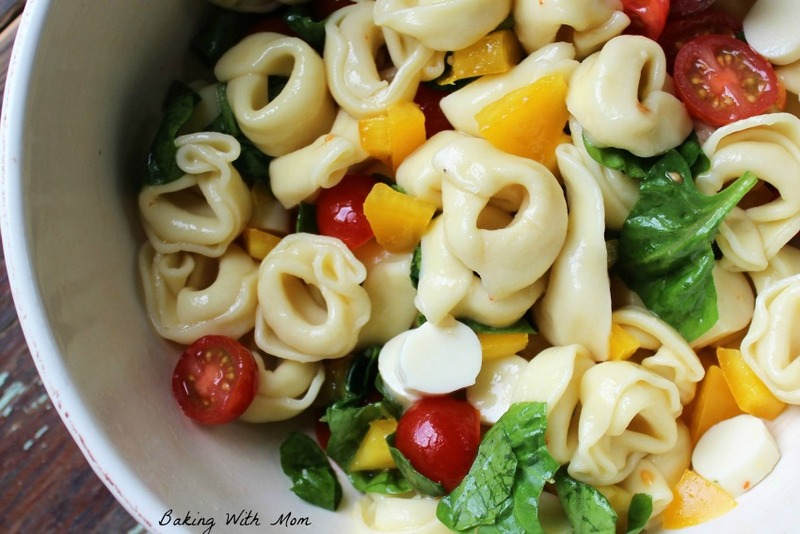 The Italian Dressing blended perfectly with the spinach and cheese tortellini. 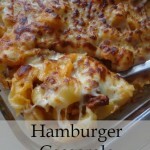 The yellow bell peppers added the perfect crunch and the tomatoes added just enough sweetness. And the cheese? The string cheese? Well, the flavor of the cheese was the perfect filler for everything else. 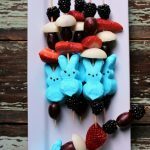 I am going to take this to a family gathering for Easter. 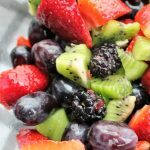 This salad would be perfect for potlucks or gatherings. You can use any Italian Dressing you have on hand, but I used the Ken’s Steak House dressing. 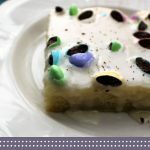 It is made with olive oil and the flavor is intense and delicious. Be sure to buy the Mona’s cheese tortellini if you have it in your stores. It is a local favorite around here. 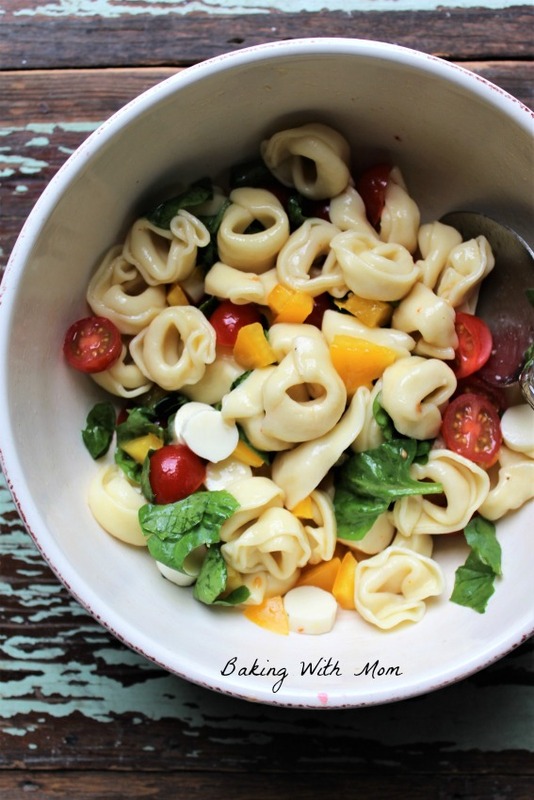 Italian Tortellini Salad is a great side dish to take to a family gathering or potluck. 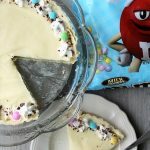 Delicious flavors blend and a wonderful crunch awaits.